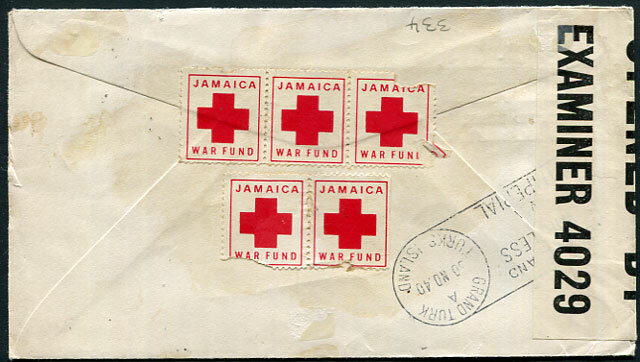 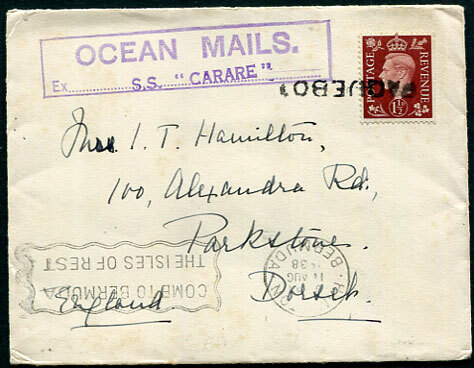 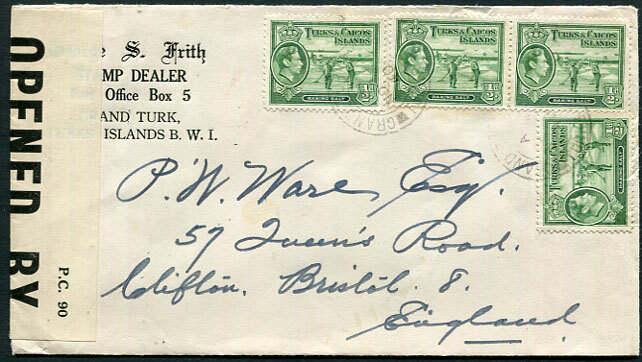 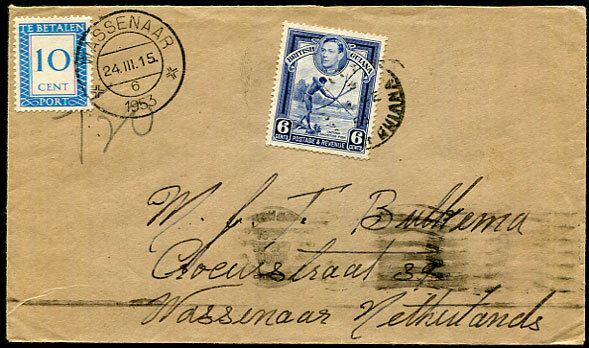 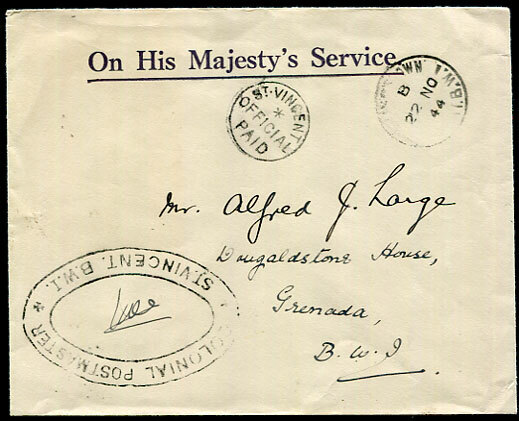 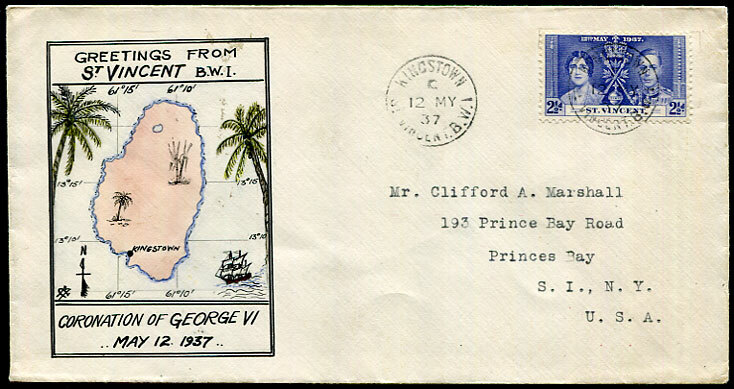 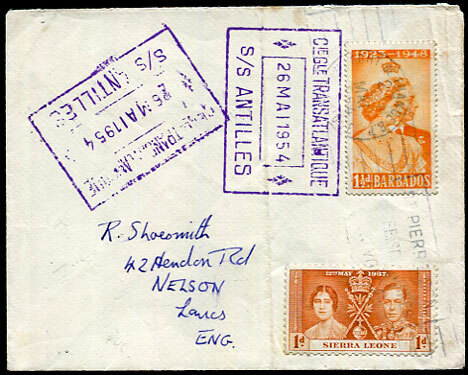 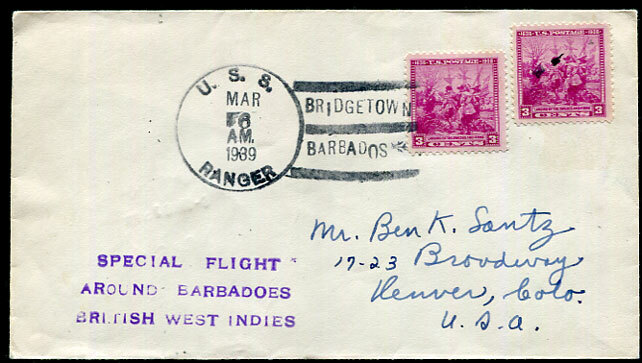 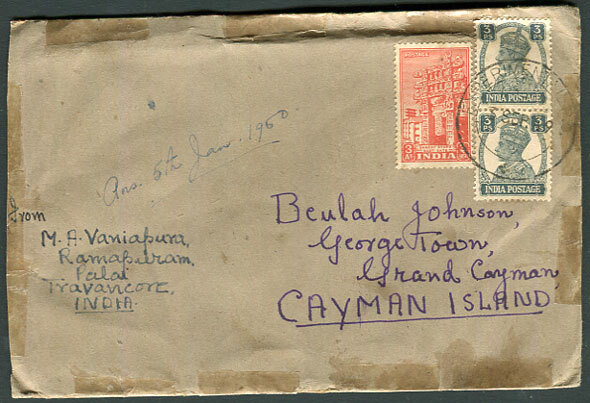 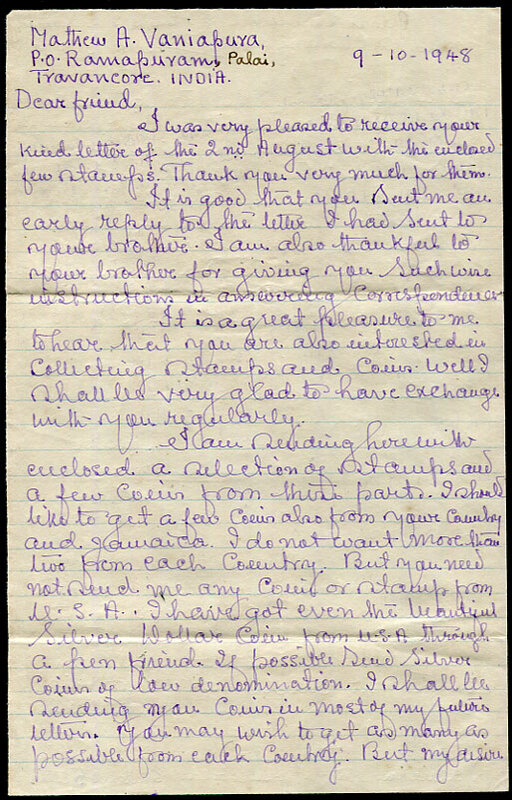 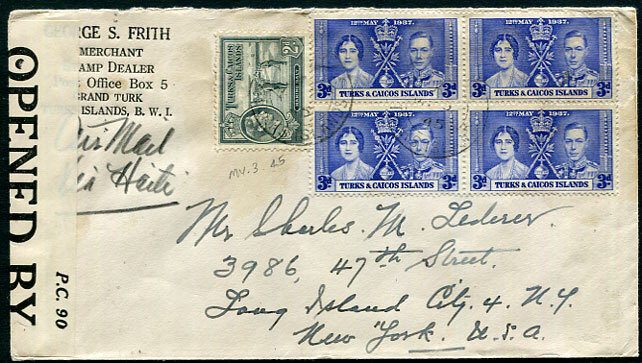 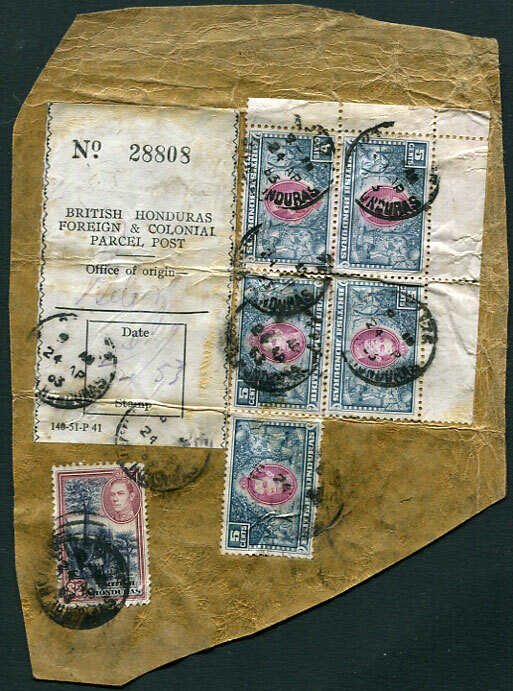 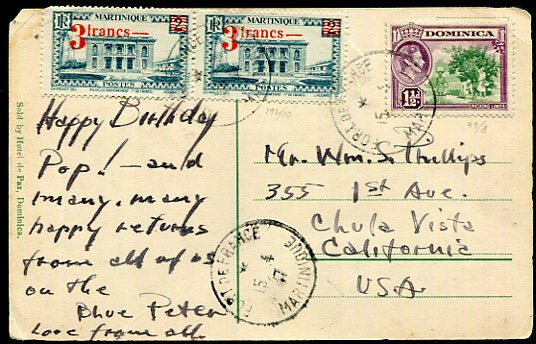 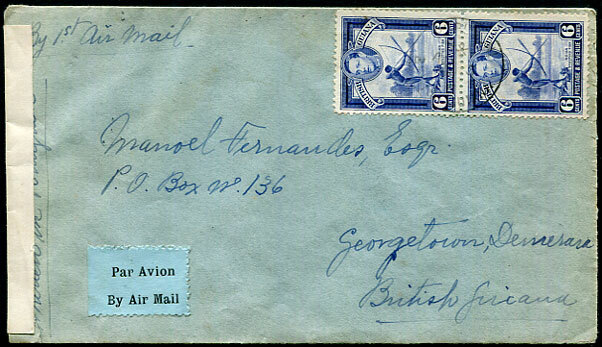 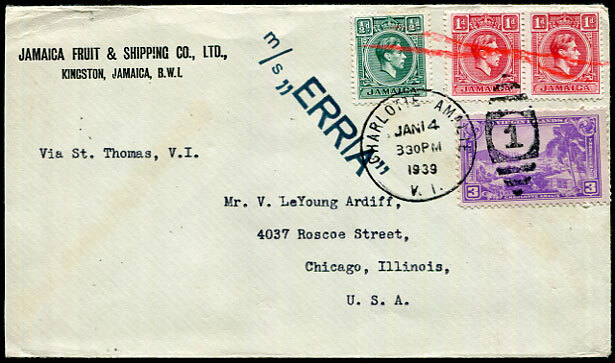 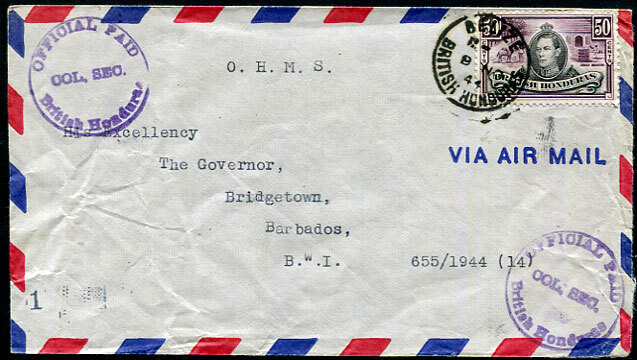 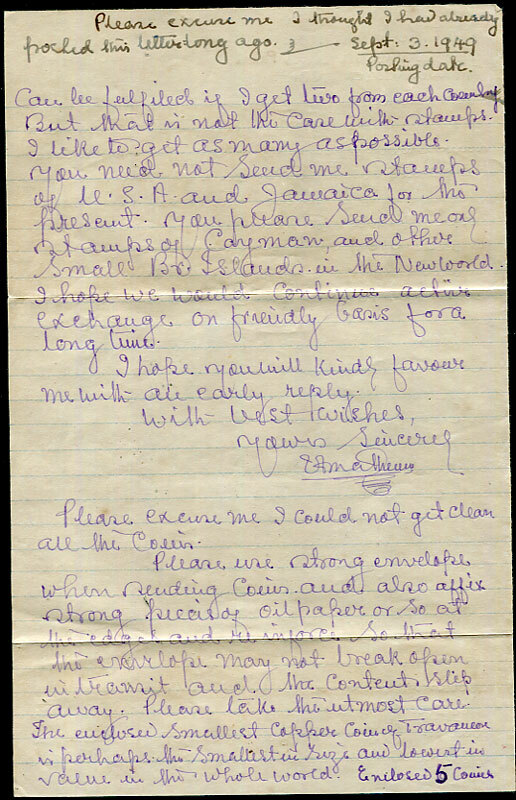 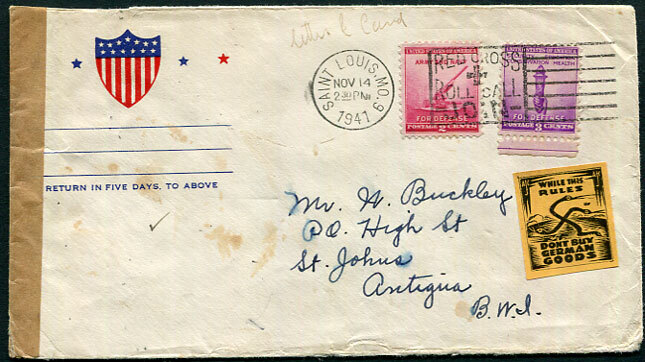 1940 cover to Clifton, Bristol with 4 x KG6 ½d pmk'd Grand Turk A/NO 14 40 d/ring, reverse Cable and Wireless 30 NO 40 handstamp tied by Examiner 4029 label and 5 x uncancelled Jamaica WAR FUND labels, some defective. 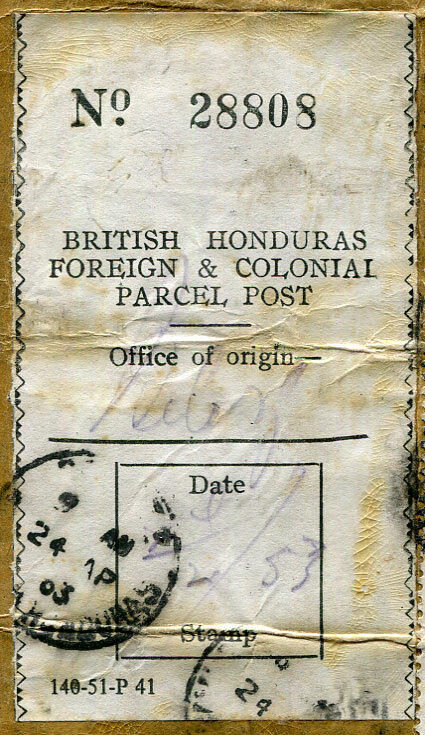 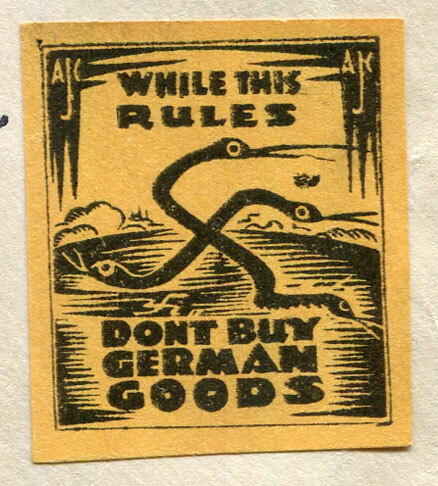 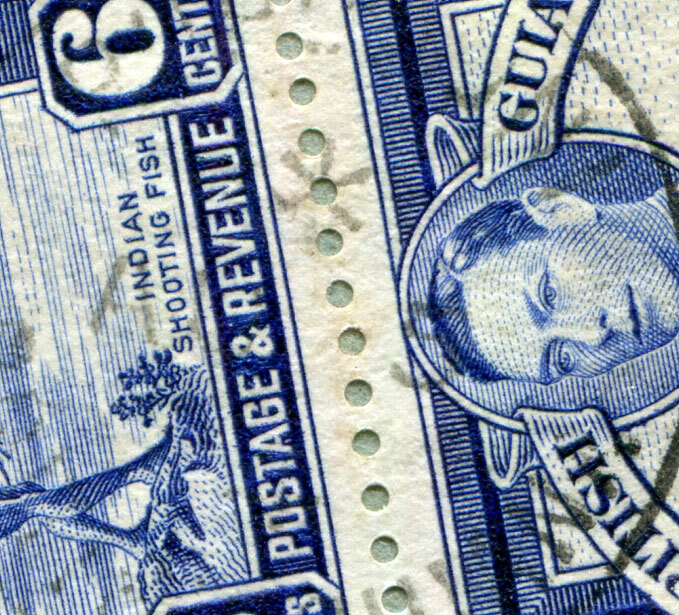 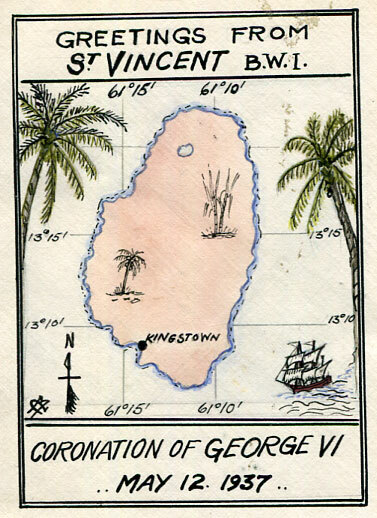 1943 reg. 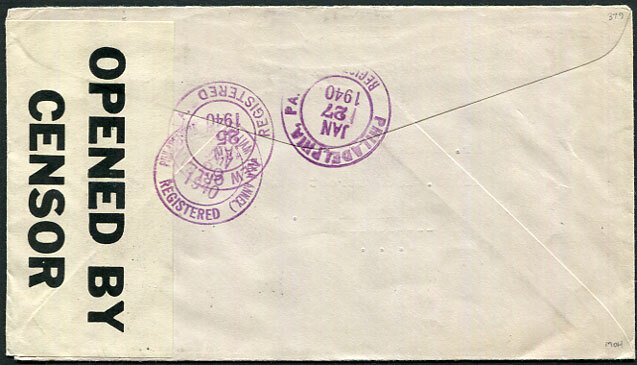 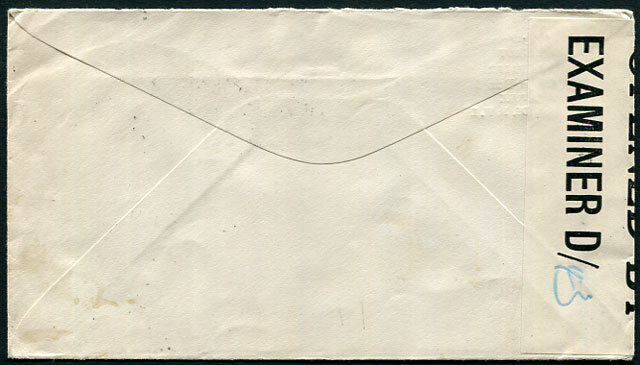 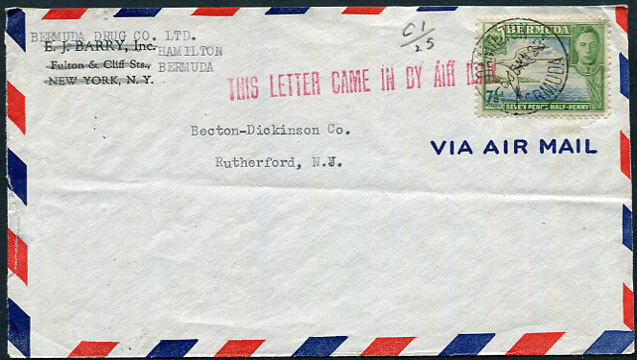 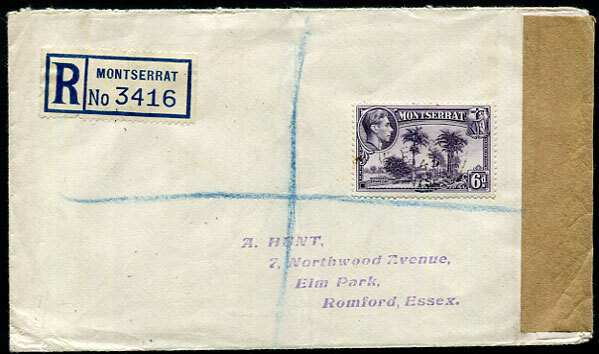 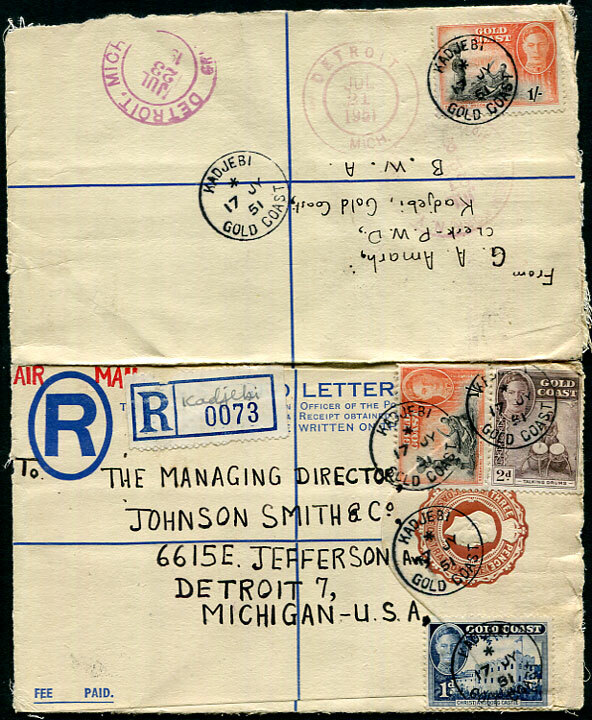 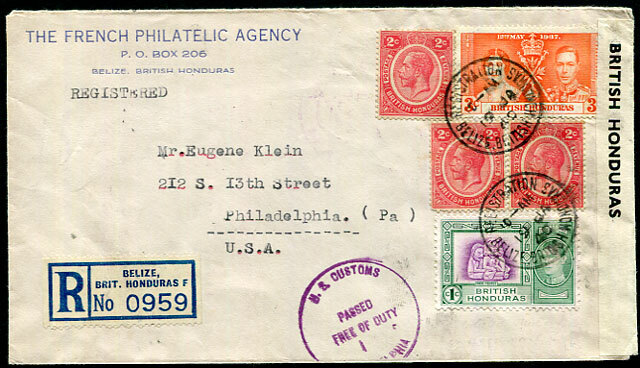 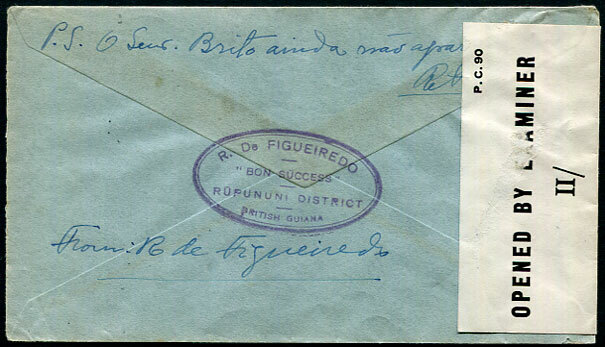 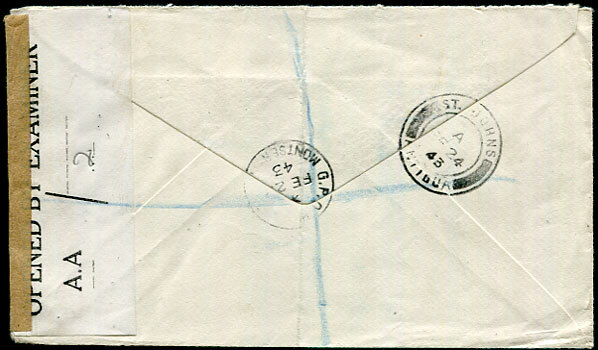 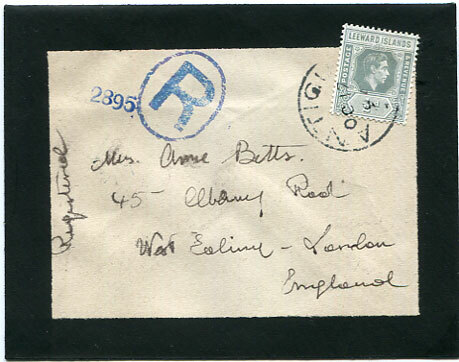 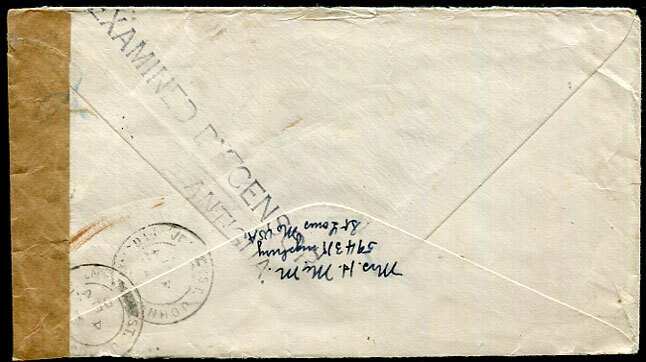 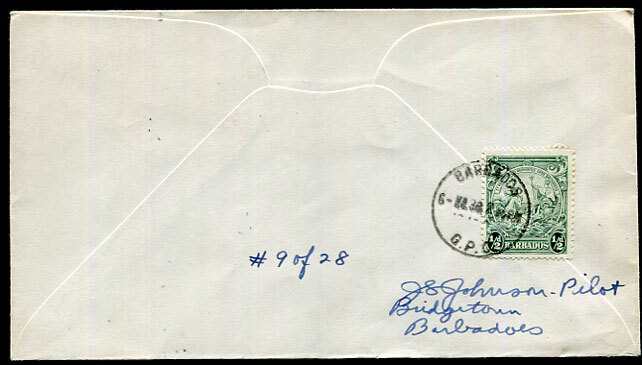 cover to Romford, Essex with KG6 6d lightly pmk'd Plymouth */FE 20 43 with censor label A.A./2 (numeral in pencil) under brown tape, Antigua A/FE 24 43 transit, stamp with small blemish.